Glucose (blood sugar) is vital to our health as it is an important source of energy for the cells that make up our body muscles, tissues and it is also our brain main source of fuel. In order for the body to make sugar the food we eat is broken down in a form called glucose. This glucose is what provides the energy the body needs. The blood and blood vessels are the means by which the sugar is transported from the stomach or to the liver where sugar is “manufactured” then to the cells where it is used or where it is stored as fat. Sugar cannot go into the cells by itself, it needs insulin that is produced by the pancreas and then released into the blood, which serves as the helper, that lets sugar into the cells for use as energy. There are 2 types of diabetes Type 1 and type 2, type 1 usually affect persons under 30 years old and is caused by a complete lack of insulin in their bodies. Although the exact cause has not been identified, it is clear that the cells which make insulin are destroyed by the body’s own immune system. Each part of the body has its own job and it is the constant production of hormones that leads to changes both bodily and mentally. The task of generating enzymes and hormones which are required for breaking food down lies with Pancreas. This important part of the body is responsible for producing enough insulin in the body so that the sugar level remains intact. The imbalance in the production of insulin can lead to diabetes. Once the problem starts developing, it can be only controlled by taking a suitable diet and by avoiding eating sweets. Basically, it is the Islet cells in the pancreas whose main aim is to produce insulin are seen as an enemy to the body. This then causes the body, to develop antibodies that fight enemy cells and destroy their ability to create insulin. Type 1 diabetes is best treated with a dosage of insulin, that is injected in the veins for it to get absorbed into the capillaries where it can then start doing its function of breaking down food glucose. Insulin should not be consumed in the form of a pill because the available juices in the stomach have the tendency to extinguish the insulin before it can properly function. Type 2 Diabetes, is when the transformation process of the carbohydrates into sugar (energy) gets slowed down. This slowing down of the transformation process raises the risk of getting heart disease, damage of organ, and various other serious complications. It is all about building up of resistance to insulin, which is a necessary part of controlling blood sugar level. 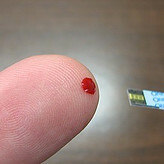 The symptoms of Type 2 Diabetes tends to appear after a long time you might be in a pre-diabetic state for a long time. With Type 2 Diabetes there is the tendency for the production of insulin to be reduced from the beta cells in the pancreas, which would lead to taking medication to enhance the production or in severe cases injecting insulin. Type 2 Diabetes is usually hereditary. Some symptoms of Type 2 Diabetes are, dryness in the mouth, large appetite, frequent urination, sudden weight loss or gain, headaches and even blurred vision Type 2 Diabetes can become troublesome and even life-threatening. So, although Type 2 Diabetes is incurable with care medication.exercise and diet this disease can be managed. The patient should, therefore, consult the doctor on time and get treatment to keep it under control at all times. The underlying cause of diabetes varies by type. But, no matter what type of diabetes you have, it can lead to excess sugar in your blood. Too much sugar in your blood can lead to serious health problems. Some many complications of diabetes, includes coronary artery disease, cardiovascular disease, peripheral vascular disease, and cerebrovascular disease are caused by damage to large vessels in the body. High glucose levels can lead to chronic inflammation in the body, including the walls of the arteries in the blood. This chronic inflammation leads to atherosclerosis, which is the buildup of a plaque with a fibrous cap on the walls of the arteries. This buildup of plaque narrows the arteries which cause a decrease in blood flow in the arteries. In addition, these plaques can cause further damage by rupture and lead to the formation of a blood clot which blocks off blood flow. If this happens in the brain or the heart, it causes a stroke or a heart attack. Being a diabetic may also cause damage to the smallest vessels in the body, leading to multiple long-term microvascular complications. This damage and destroys the cells in the blood vessels and this leads to decreased blood flow and tissue death. Diabetes not managed or controlled can cause retinopathy (damage to the retina in the eyes, leading to blindness), nephropathy (damage to the kidneys resulting in kidney failure), neuropathy (damage to your nerves, which can cause numbness or tingling), and gastroparesis (dysfunction of your digestive system causing chronic vomiting and abdominal pain). All of these symptoms are caused by glucose-induced damage to blood vessels. Diabetes has a negative effect on the body’s immune system. High glucose levels increase the activity of immune cells. These cells eventually become exhausted and desensitized, thus decreasing their effectiveness against invading pathogens. People with poorly controlled diabetics are more prone to severe skin infections and other infections like pneumonia or urinary tract infections. Chronic diabetes conditions include type 1 diabetes and type 2 diabetes. Prediabetes can be reversed sugar levels are higher than normal, but not high enough to be classified as diabetes 100-125 gestational diabetes, also can be reversed pregnancy but may resolve after the baby is delivered. Keeping the blood glucose levels as near to normal as possible by balancing food intake with medication and activity. Maintain your blood cholesterol and triglyceride (lipid) levels as near the normal ranges as possible by decreasing the total amount of fat to 30% or less of your total daily calories, and by reducing saturated fat and cholesterol. Planning what you eat and following a balanced meal plan. Taking medication, if prescribed, and closely following the guidelines on how and when to take it. Monitoring your blood glucose and blood pressure levels at home. Keeping your appointments with your health care providers and having laboratory tests completed as ordered by your doctor. What you do at home every day affects your blood glucose more than what your doctor can do every few months during your check-up. I have posted a link for some easy exercises from silver sneakers try and do these at least 3 times per week. Ruthlyn shares information about health and wellness for baby boomers. As a boomer myself this is my passion. If you have a passion and would like to share on your own website Click here and learn how to build and maintain your own website for free. I agree with you that we need to keep tabs on our body functions. We tend to imagine that we are very healthy, but sometimes we are not. Nice article I think people these days definitely, forget to keep track of their own body functions and feelings. I know that I have even been guilty of that. Ive had two people in my family end up with Diabetes in there 40+ so I can vouch that it is really important to take care of yourself and watch for these signs. Hi,Lindsey thank you for dropping by I have diabetes and my mother and grandmother had diabetes but unfortunately for me, I was not informed about the disease, how to prevent it and how to keep it controlled, so getting information out to us seniors has become a passion of mine Happy you liked the post. Please drop by again.